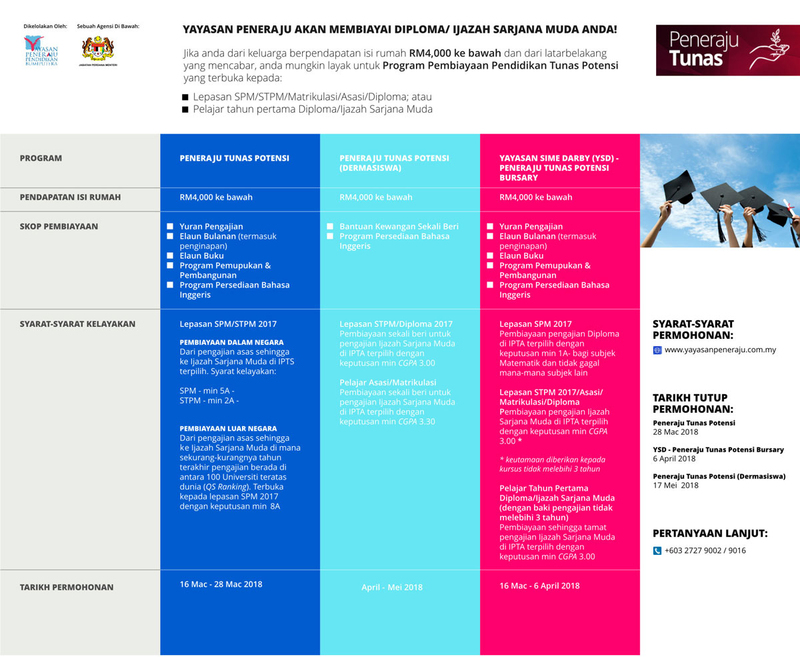 The Peneraju Tunas Potensi scholarship programme is aimed to allow opportunities for financial assistance to SPM/STPM leavers from challenging background, who have potential and from families with household income of RM4,000 and below monthly to attain quality tertiary education. 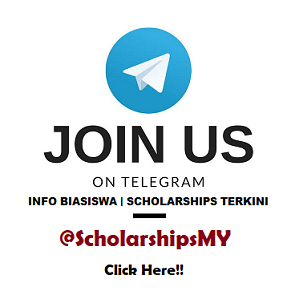 This programme is offered to Malaysian Bumiputera between average to excellent academic qualifications and interested to pursue tertiary education at selected universities for foundation programmes which lead to degree programmes in various fields. Apart from local universities, some of the students will be sent to overseas universities under A-Level/IB pathway. The brand promise of all Yayasan Peneraju’s programmes is to ‘Nurture and Develop’ the scholars apart from the comparable financial support which not only produce academically excellent scholars, but also well rounded. For Peneraju Tunas Potensi, scholars are nurtured and developed based on structured framework that is aimed at identifying critical needs and providing continuous development programme in phases that includes English classes and soft skills among others. Perhatian: Sebelum membuat permohonan, sila rujuk kepada Soalan-soalan Lazim dan Senarai Kursus dan Institusi terlebih dahulu.